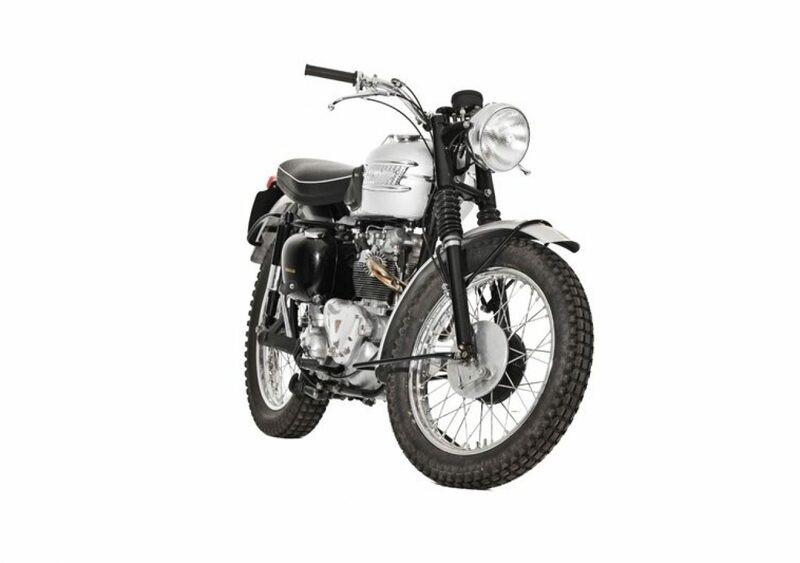 The TR5 Trophy was a standard motorcycle made by Triumph Engineering at the Meriden factory from 1949 to 1958. 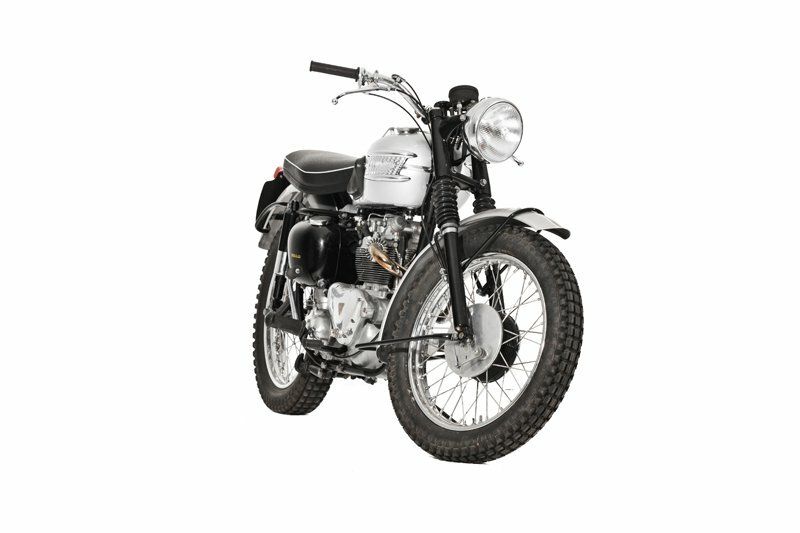 Based on the Speed Twin, the TR5 was a trials machine designed for oroad use with a high level two into one exhaust and good handling on public roads. 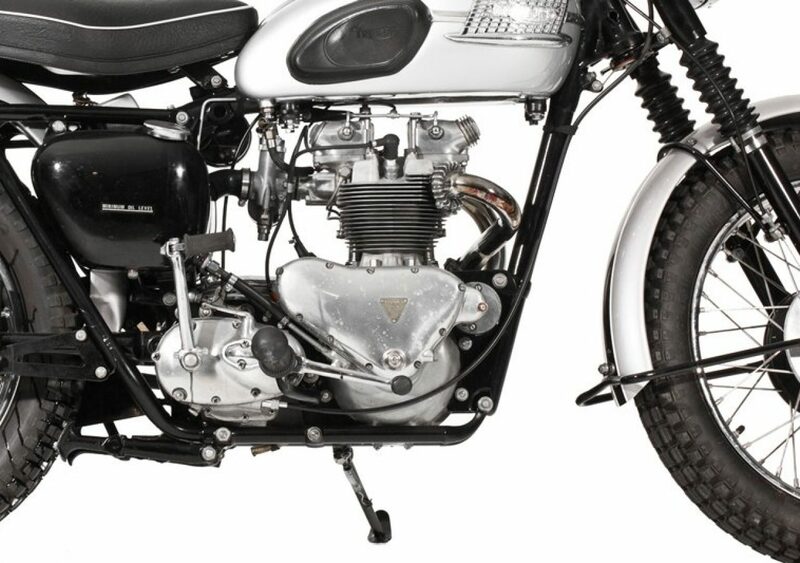 The name 'Trophy' came from the three 'specials' that Triumph built for the Italian International Six Day Trial in 1948, which went on to win three gold medals and the manufacturers team trophy. 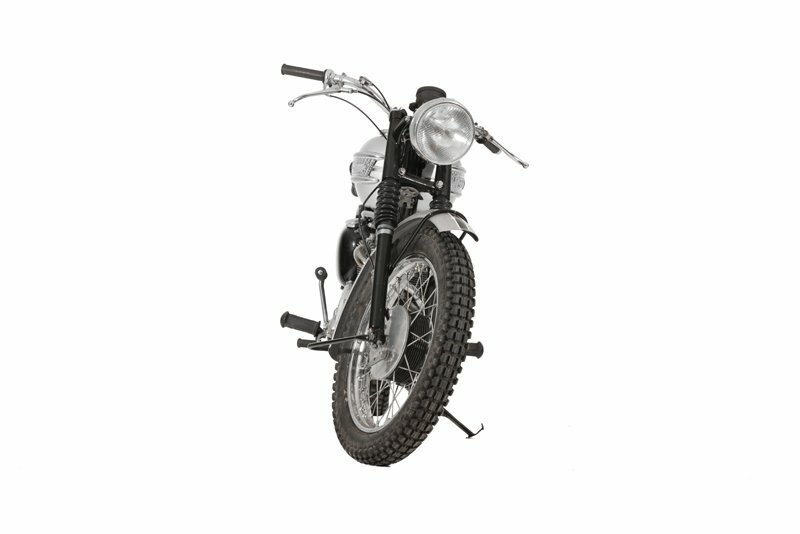 Featuring prominently in the AMC "Class C" racing until 1969, the American export models included components from the Tiger 100 to create a motorcycle for desert competition. 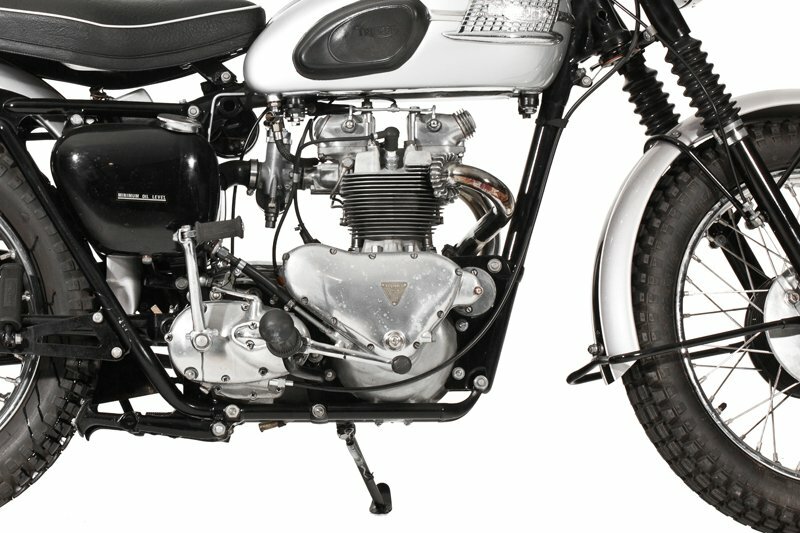 From 1951 the 498 cc engine (used as aircraft generators during World War II) was updated with a new alloy barrels and heads. 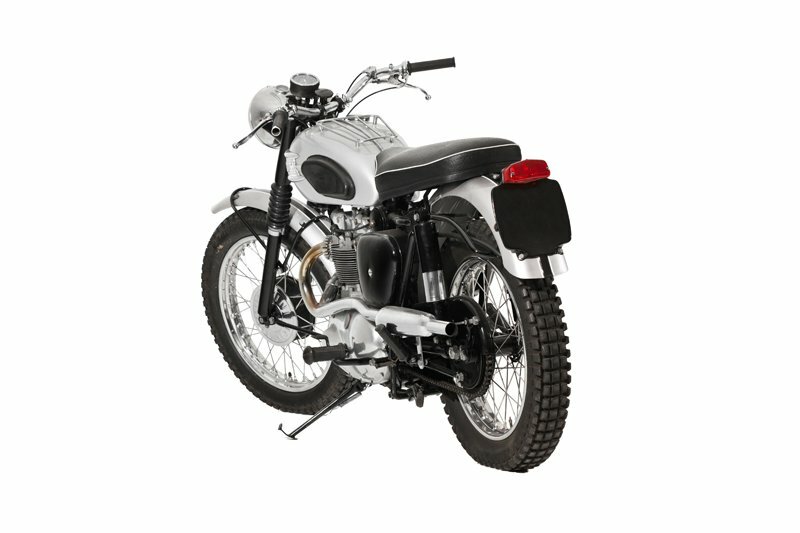 The TR5 was replaced with a new range of unit construction twins in 1959. 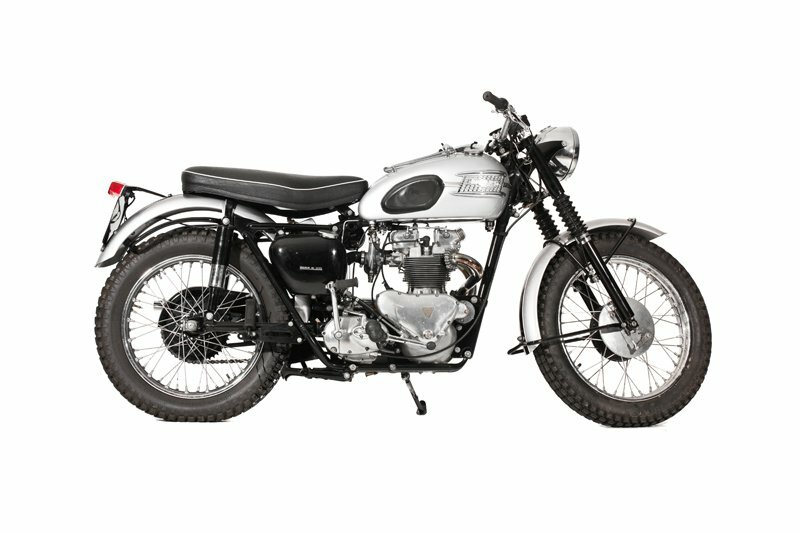 Inspired by Marlon Brando's 6T Triumph Thunderbird in The Wild One, James Dean bought a Triumph TR5 Trophy. 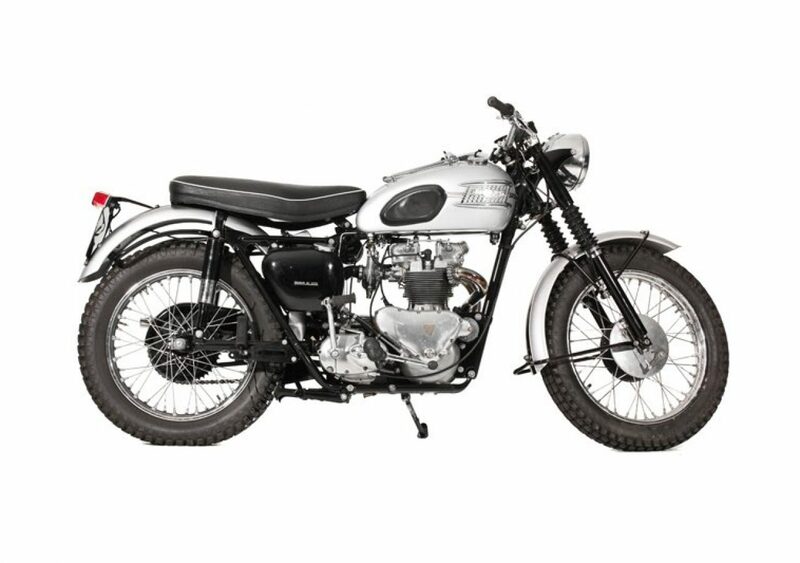 Phil Stern's series of iconic photographs of Dean show him on this bike. 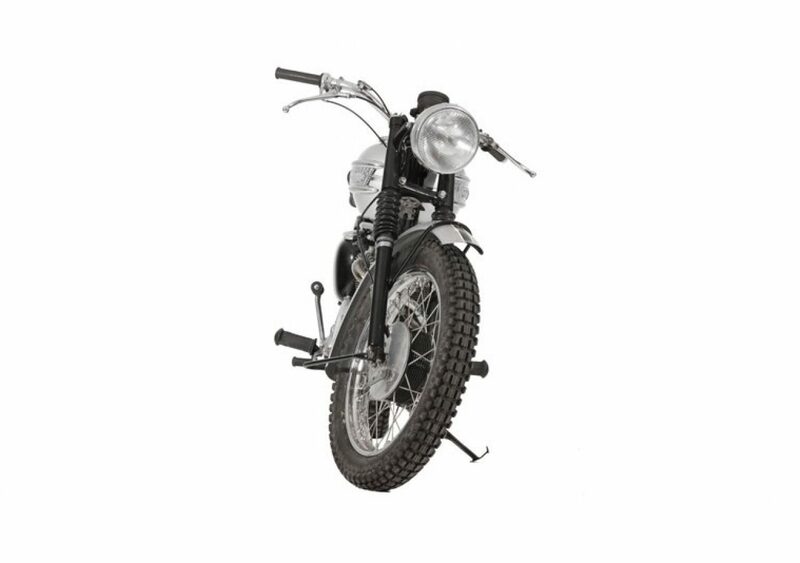 It was sold after the actor's death, and then was retrieved, restored and displayed at the James Dean Museum in Fairmount, Indiana. 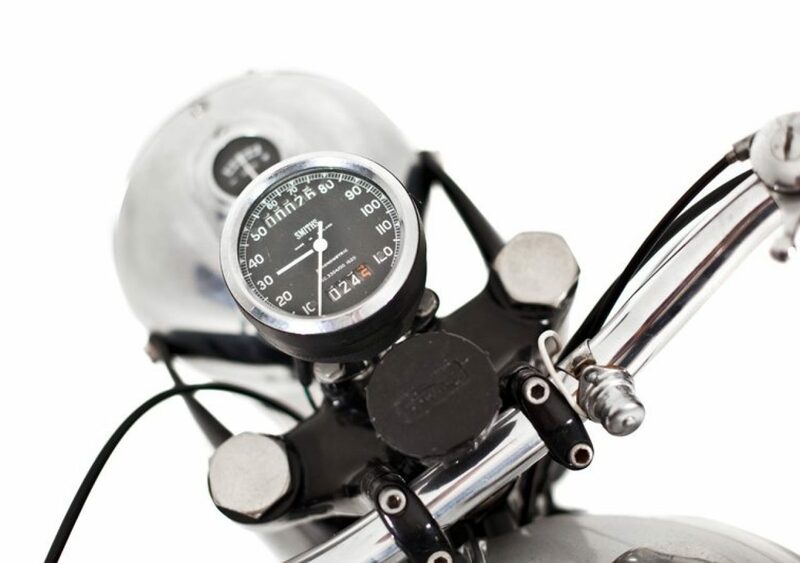 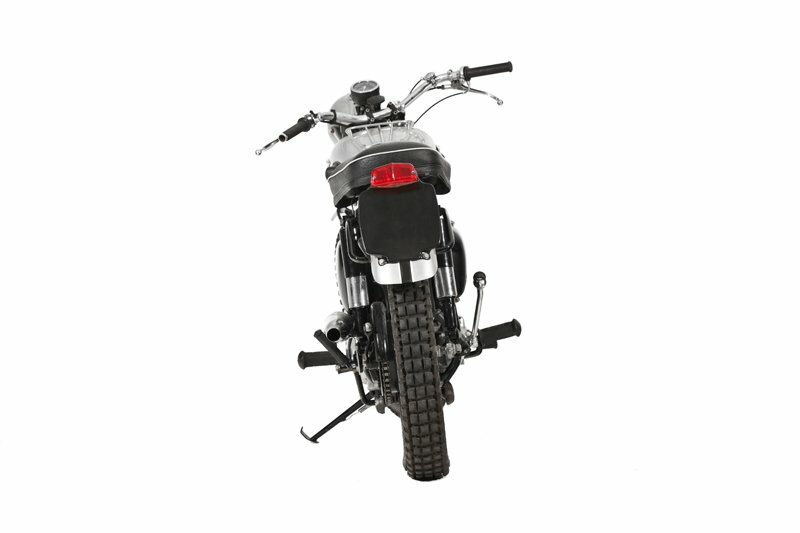 The Fonz, a character played by Henry Winkler in the popular and long running Ameri- can sit-com Happy Days, rode a 1949 Trophy TR5 Scrambler Custom. 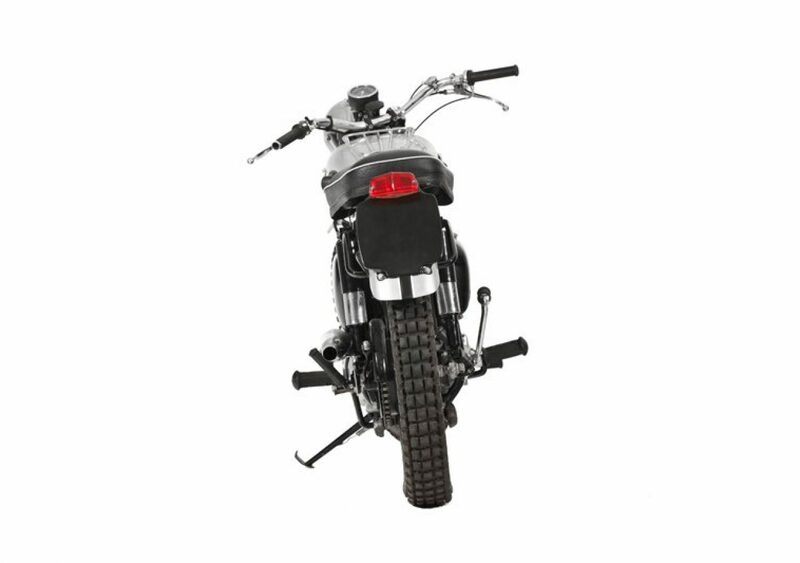 The motorcycle was provided by stuntman and Triumph dealer Bud Ekins, who removed the front fender, painted the fuel tank silver and changed the handlebars.